Making sure my kids are getting enough protein can be tough, especially with one very selective eater. They love muffins, and they are so convenient for breakfast and snacks, but I want to try to sneak in a little extra nutrition when I can. 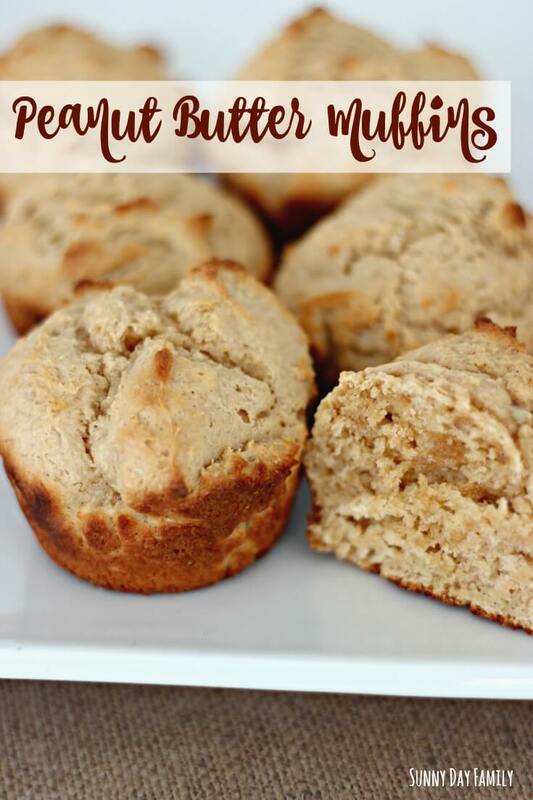 I experimented with these muffins and they were a huge hit - and they are a perfect kids snack for National Peanut Month! 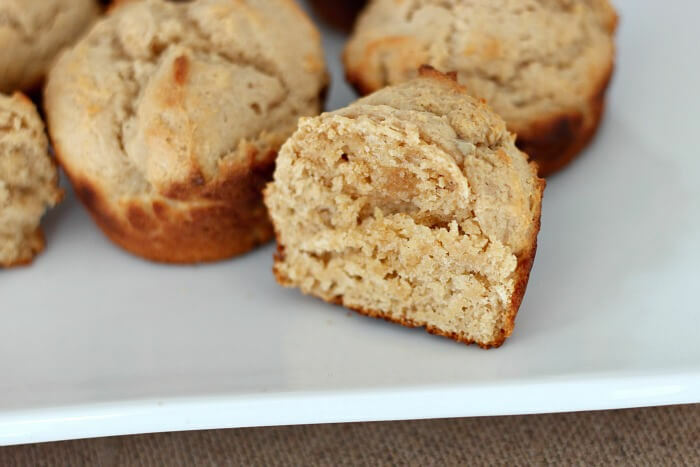 These peanut butter muffins are packed with protein thanks to the addition of Greek yogurt. 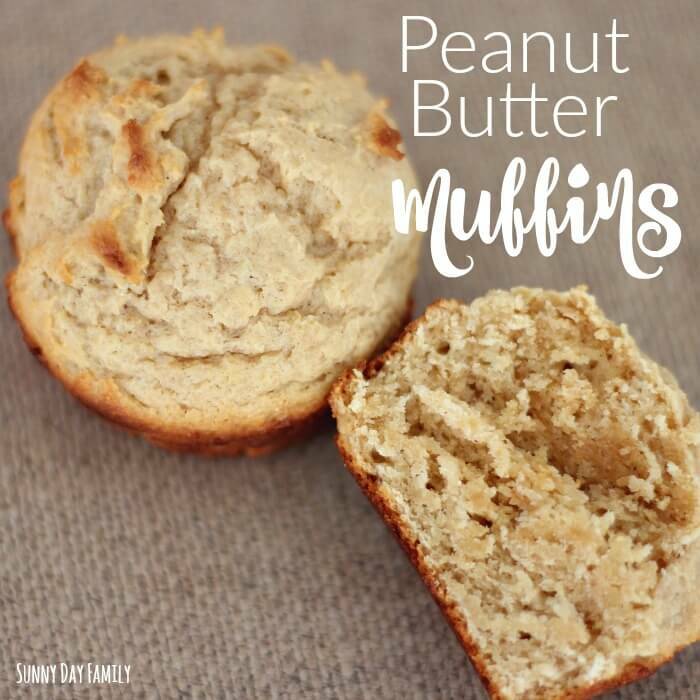 They are super filling for breakfast or a snack, perfect to freeze or pack on the road, and really easy to make! My boys loved them as is or you could sweeten them up by spreading them with a little jelly or even nutella. Yum! Here's how to make them. Preheat oven to 400 degrees. Line a muffin pan (or spray with cooking spray) and set aside. In a large bowl, mix together Bisquick and sugar. Add in eggs, Greek yogurt, peanut butter, and vanilla. Stir until combined (don't overmix!). Batter will be very thick. Spoon batter into muffin pan (I use a scoop like this). Bake at 400 degrees for 14-16 minutes or until a toothpick inserted in the center comes out cleanly. Make 12 regular sized muffins. Serve warm, or reheat in the microwave for about 15 seconds for leftovers. So yummy and moist inside! These freeze well, and can be tossed into a lunchbox for an afternoon snack. Or they're perfect for breakfast with a side of blueberries. Enjoy!